select about 2 words from standard keywords. Please inform [Regular papers] or [Open access papers]. Twelve printed pages maximum. At least one of the authors must be a member of JSRAE. After regular review (a several-step revision process), the accepted paper is published in JSRAE Transaction, which is issued 4 times per year. Six printed pages maximum. JSRAE membership of the author is not required. After rapid review (generally, a one-step revision process), the accepted paper will be released to the public (open access) on the Web as soon as possible. 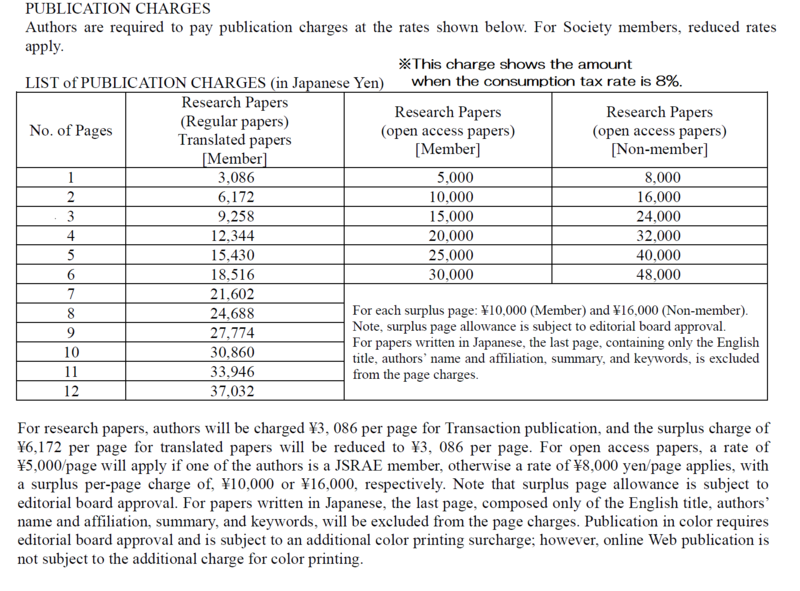 The publication of the paper is also recorded in JSRAE Transaction, which is issued for 4 times per year.